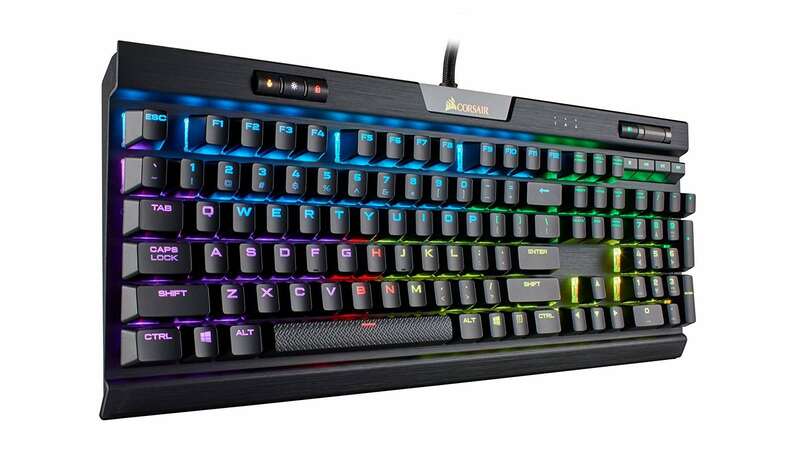 Corsair K70 RGB MK.2 review: more of the gaming keyboard you love, but is that enough? 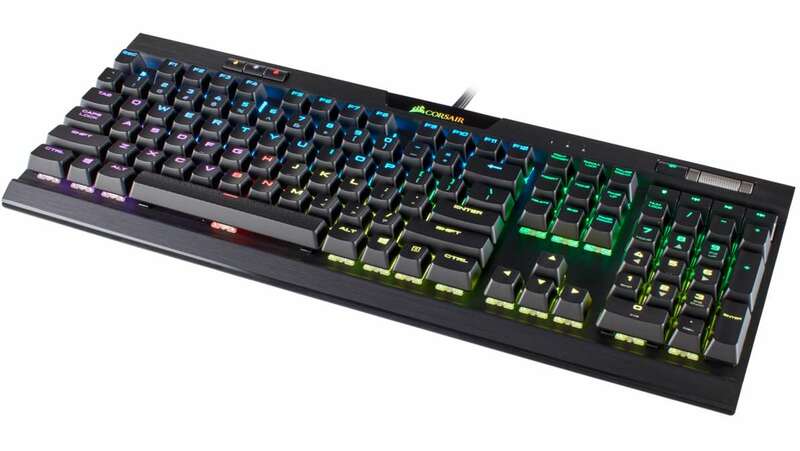 Corsair’s K70 mechanical gaming keyboard has finally evolved. The K70 MK.2 takes the well-known – and well-loved – classic from Corsair and moves components around like a painting by Picasso. But has it all been worth it? No, not really. It’s no secret that we love the Corsair K70 at PCGamesN. The usual clatter of keyboards all day every day is made up of a choir of K70 keyboards, all bought and paid for. Its robust aluminium design, fantastic scroll wheel, and stellar RGB lighting has been an obvious standard bearer for the many keyboards we’ve had in the office since it first launched back in 2013. The K70 has been through many iterations over the years, too. There’s the LUX, with new bold keycaps; the logo changed from a sail to a strange lower back tattoo and then back to the sail design Corsair brandishes today; and the K70 Rapidfire brought with it new speedy key switches. Yet, this is the only time Corsair has seen fit to change the nomenclature, stitch a two on the end, and proclaim this to be the true second generation of its crown jewel: the Corsair K70 MK.2. Sadly, what you get from the second generation is little more than what was introduced with the few iterations of the K70 prior, which strangely weren’t worthy of the significant and coveted title of MK.2. So let’s take a look at what’s new, and what all this fuss is supposed to be about. The most noticeable switch up has been in the top row. The Corsair logo is now illuminated through a transparent cutaway, and features two independently controlled lighting zones – customisable via the new and improved iCUE app. I’ve come to expect logos plastered all over my gaming peripherals, but I wouldn’t consider the addition of logo lighting to be a 2.0 feature. To the left side of the new and improved logo, Corsair has shunted the Windows lock and brightness buttons. There’s also the new Profile button, which allows you to make the most of the 8MB of onboard memory added with the MK.2 for storing your iCUE lighting and macro profiles straight onto the board. This is arguably the most useful addition. The volume wheel has also had the 1990s movie makeover transformation. Corsair painted it silver and… ain’t it a beaut. Otherwise, it’s identical. The three standard keyboard indicators are also present, although only illuminate in white. 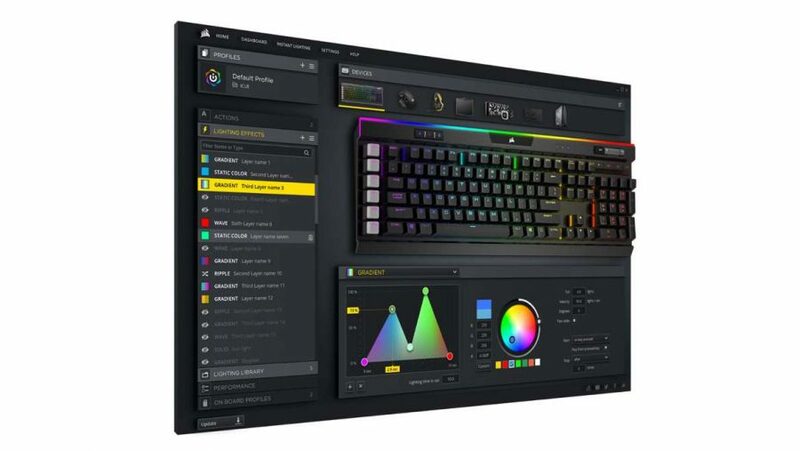 Considering the Corsair logo is now laden with RGB LEDs, it would be nice to see these indicators get the same treatment as the Logitech G513. Don’t fret, the media keys haven’t been cast off. Four media keys sit above the numpad likened to the MK.1, but Corsair has made them far taller. I never felt too much trouble navigating my way over the these keys previously, but then again, I’m not an esports pro in the heat of battle without time for even a second glance at volume controls. Then again, again, statistically, neither are you. The increased size of these media keys means there is yet another awkward avenue for the dust to settle. The K70 is already quite the dust magnet as it is, so I fear the MK.2 will suffer the same dusty fate. 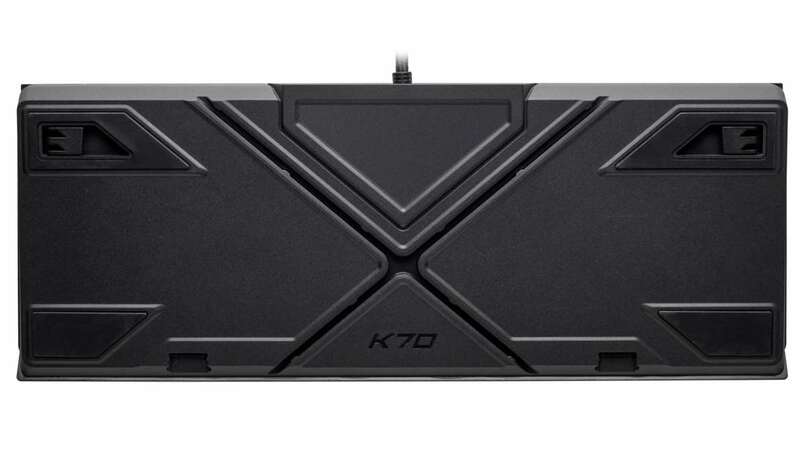 Before we head down to the palm rest, it’s worth noting that the polling rate switch has been cast asunder, which is no huge loss, but with its demise Corsair has inexplicably increased the depth of the K70’s rear plastic underbelly. It’s a noticeable, and seemingly superfluous, change that increases the depth and design of the metal frame above, too. It’s a shame Corsair hasn’t kept up with the likes of Razer or Logitech in regards to the palm rest. Where both companies opt for seriously plush rests fit for royalty, Corsair has changed almost nothing to the slender and faux-soft design of the K70’s palm rest. Underneath that clip-on accessory, however, Corsair has raised the design up to accommodate a cable routing system all the way from the rear of the board in a cross pattern. It’s a neat feature, although as a chronic keyboard shuffler I often write this routing off pretty quick. And the story remains the same elsewhere. The cable is the same thick braided sleeve as its predecessor, there’s a single USB 2.0 passthrough on the rear, the stunning RGB lighting is controlled through the iCUE app, and the keycaps are the same bold and clean-cut LUX ABS fare as before. PBT plastic keycaps would likely put the price up considerably, anyways. The board is available with Cherry MX Red, Blue, Brown, Silent Red, and Speed Silver mechanical switches. And that’s where the Corsair K70 leaves us. It’s almost the same 9/10 board we reviewed a couple of years back, but with a few minimal additions tacked on or jumbled around to middling effect. The redesigned chassis I find less appealing than the last, however, and that’s pretty disappointing when this board marks the next generation of Corsair’s outstanding K70. 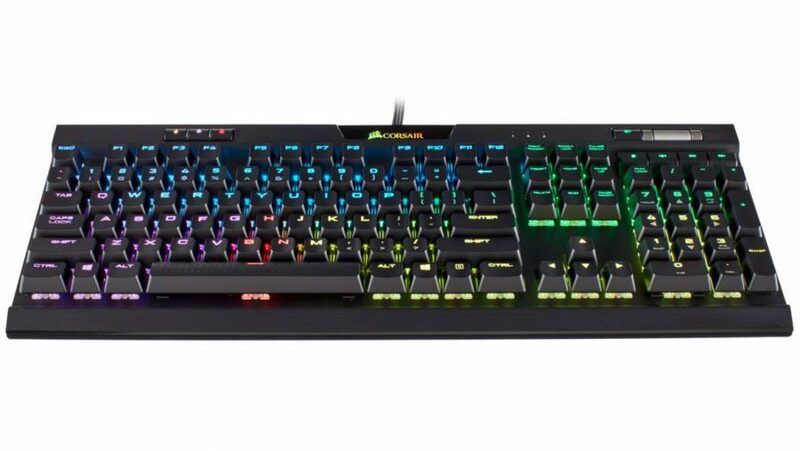 Considering the board maintains the same price point of $160 / £150, it’s not asking any more for the minor changes made to the board, but the previous K70 LUX RGB has been around for quite a while now and can be found for $130 / £125. There’s still life in that old dog yet, and the K70 LUX is worth every penny of that price tag – at least until the MK.2 drops from MSRP. Corsair’s iCUE software is still one of the best around and the board is enjoyable to type on, responsive in-game, and built to last. However, Corsair has played the MK.2 redesign extremely safe this time around. Little has changed that will be have any major impact on your use of the keyboard, or that risks the coveted top spot, and the formula remains the same despite the tough competition from the likes of Razer, Roccat, and Logitech. Corsair’s previously comfortable lead is, however, dwindling, not because its keyboards are getting worse, but because everyone else’s are getting considerably better. Still a quality keyboard, but the rest of the competition has stepped up the pace and such safe redesigns won't keep them at bay forever.